The nominations for the 2013 Helpmann Awards have been announced simultaneously at events in Sydney, Melbourne, Brisbane, Adelaide, Hobart and Perth. This is the first time the Nominations events were held concurrently in 6 cities and a first for Adelaide, Hobart and Perth. The events in each city were attended by the local Performing Arts community in support of The Helpmann Awards and what they represent. The Nominations were announced by various acclaimed performers including David Atkins OAM, Christie Whelan Browne, Chloe Dallimore, Sharon Millerchip, Catherine McClements, Simon Gallaher, Cameron Goodall, Rob Mills and Erika Heynatz to name but a few. Live Performance Australia (LPA) received an incredible 822 entries across 41 categories this year, making it one of the highest number of entries ever received in The Helpmann Awards 13 year history. NSW Minister for Tourism and Major Events, George Souris, congratulated the nominees of the 2013 Helpmann Awards and said Sydney is proud to host this prestigious Australian event for the 13th year in succession. 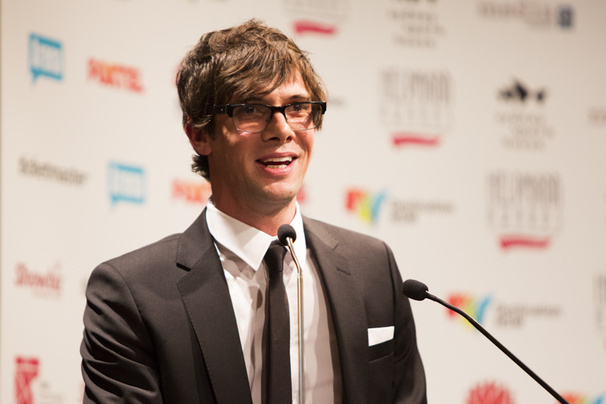 “The Helpmanns are the premier awards event for the live performance industry. Our investment in the 2013 Helpmann Awards and the staging of them in Sydney reaffirms the NSW Government’s commitment to the arts and further strengthens Sydney’s position as the live performance capital of Australia,” Mr Souris said. The Helpmann Awards also incorporate the Brian Stacey Award for Emerging Australian Conductors. This year the Brian Stacey Memorial Trust announced Carolyn Watson as the winner of the award, also receiving an $8000 prize. Carolyn is a gifted musician and will use her prize money in further developing her talent and skill in musical direction and conducting. The Helpmann Awards are the premier awards event for Australia’s vibrant live entertainment and performing arts industry. They celebrate the significant contribution the sector makes to the greater Australian community and recognise distinguished artistic achievement and excellence across the major disciplines of Australia's live performance industry, including musical theatre, contemporary music, comedy, cabaret, opera, classical music, theatre, dance and physical theatre. The Helpmann Awards also incorporates the JC Williamson Award for outstanding contribution to the Australian live performance industry.